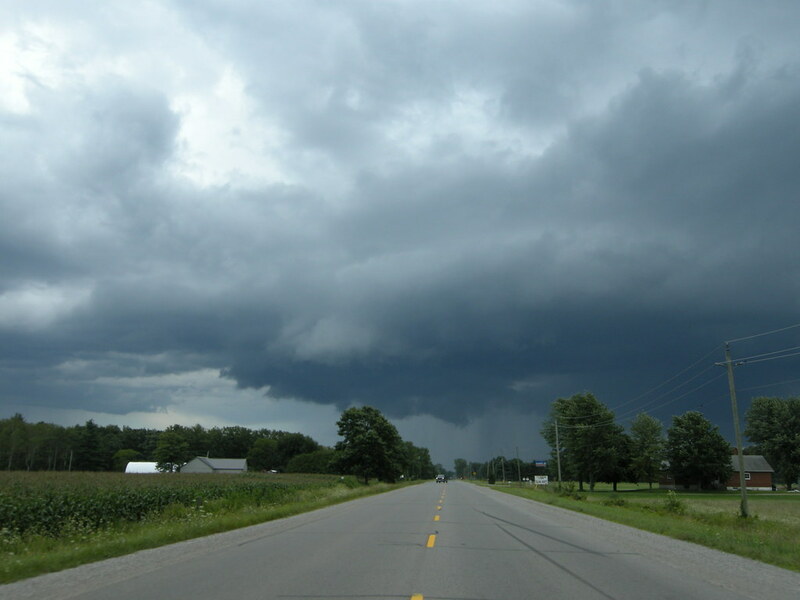 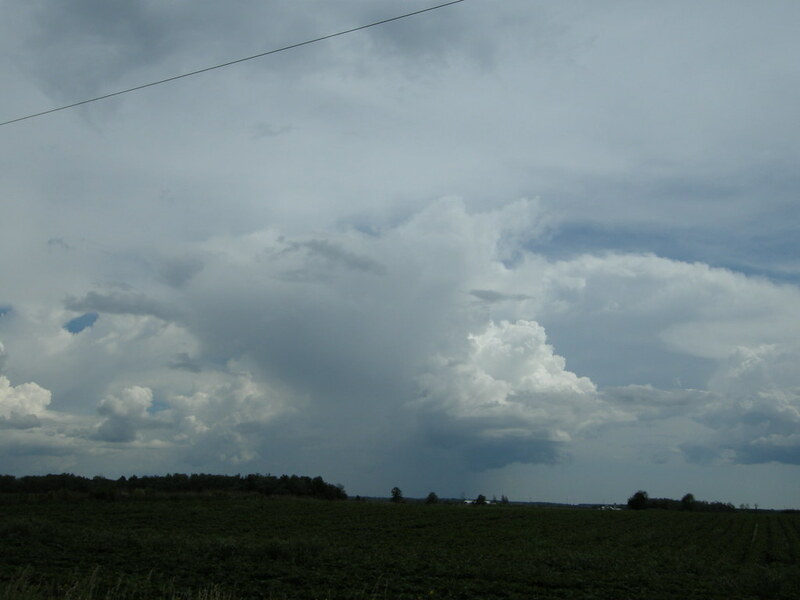 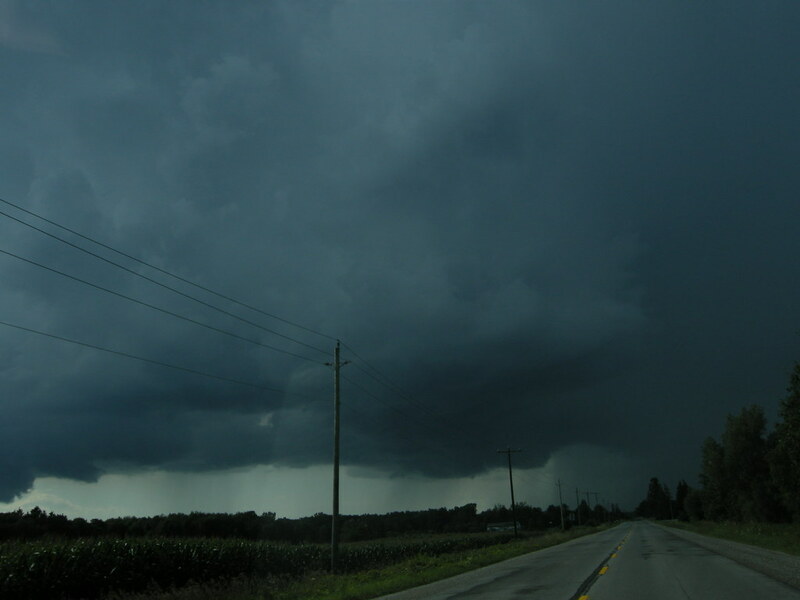 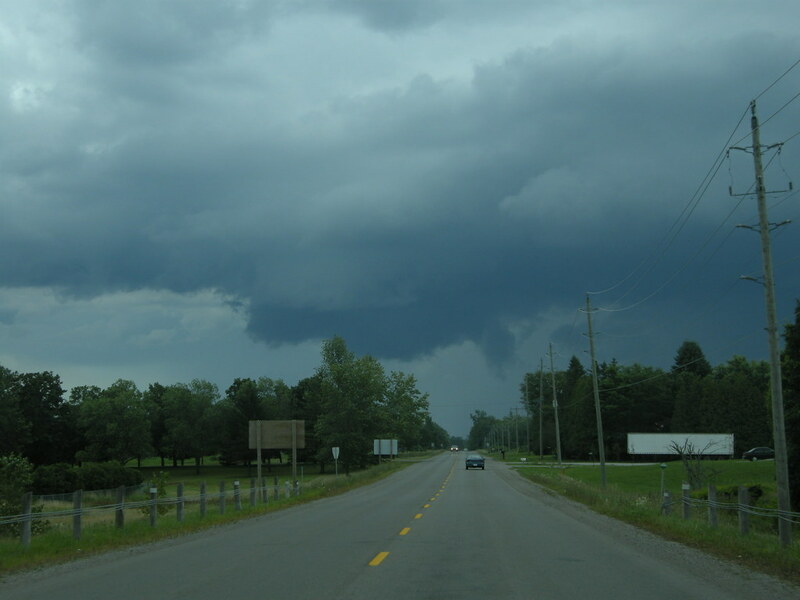 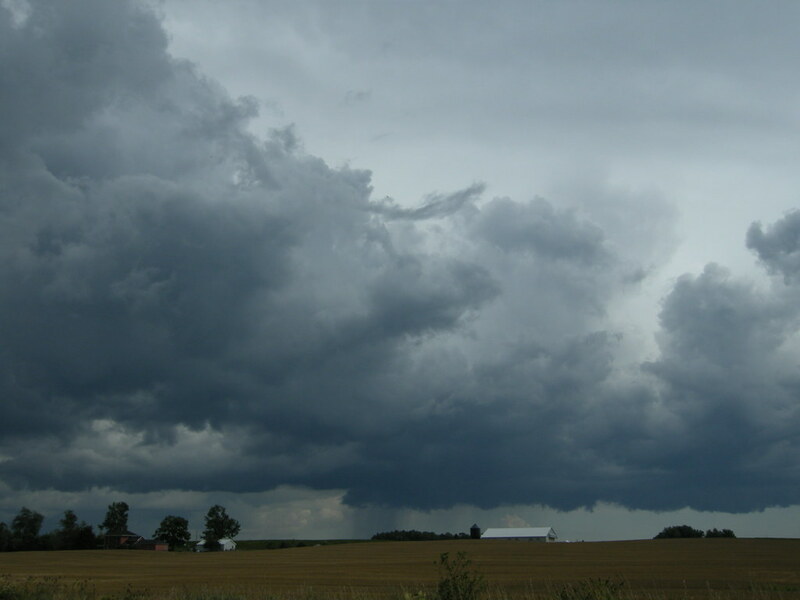 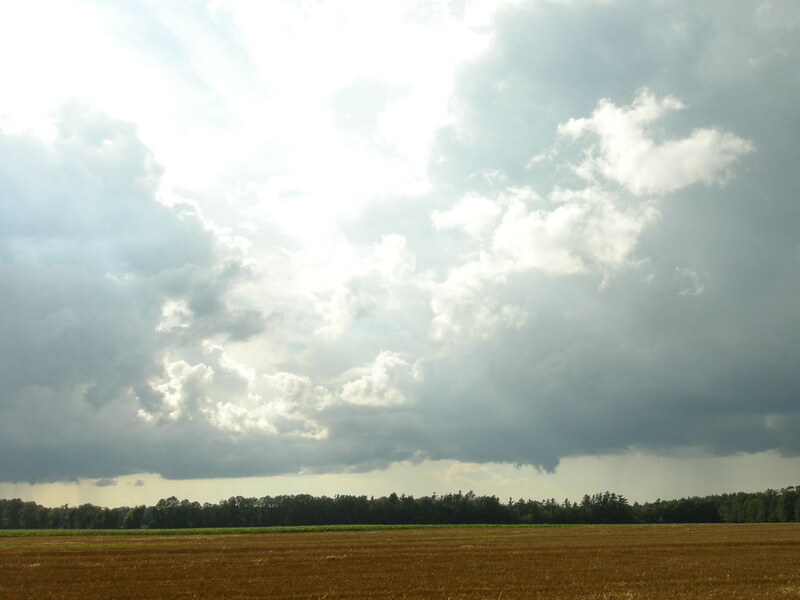 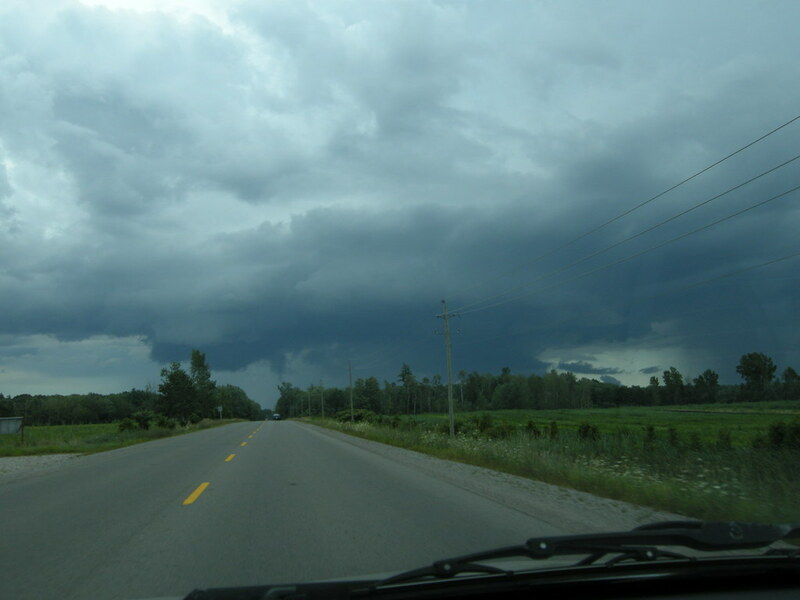 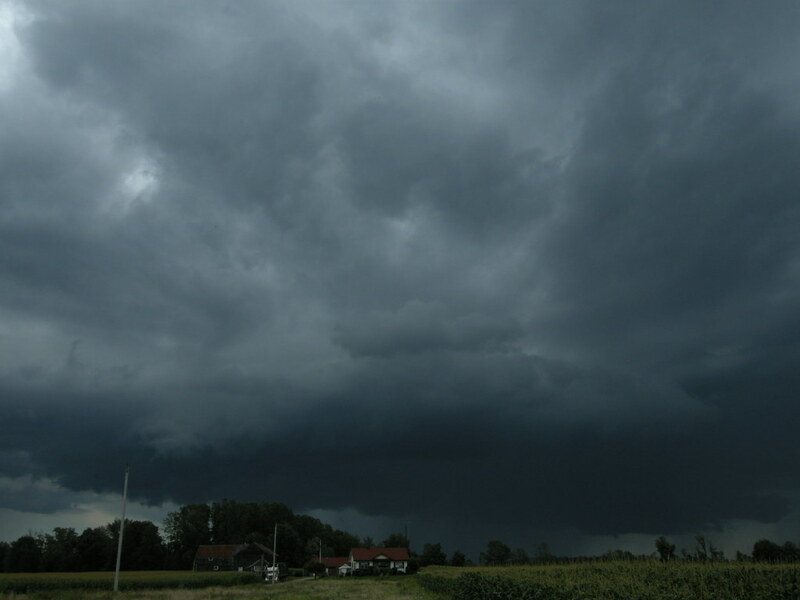 August 15/08 Middlesex, Elgin County Storm Chase Rotating Storm - Ontario Storms Site! 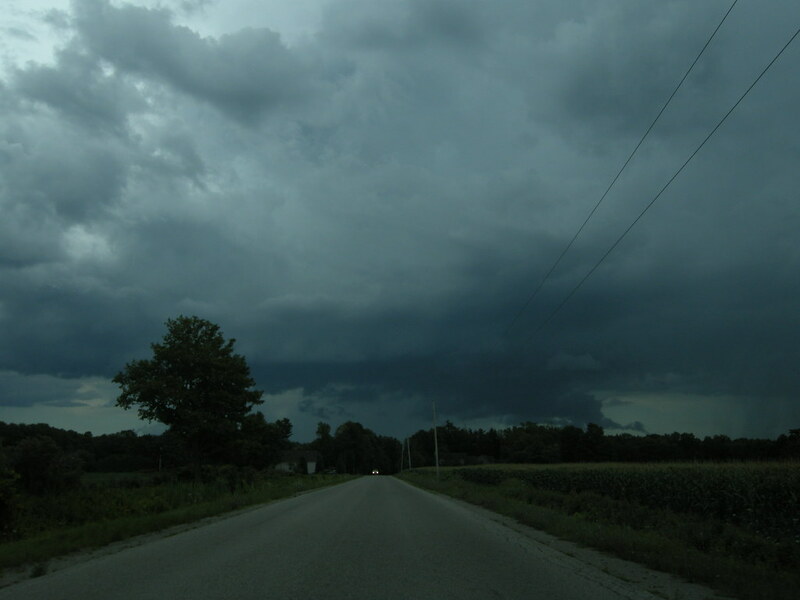 Had a nice chase this day that began just on the southern edge of London and took me to the SE corner of Middlesex and maybe into Elgin county. 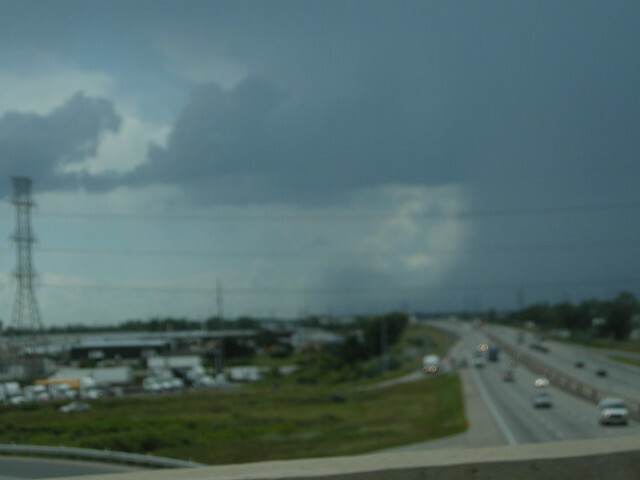 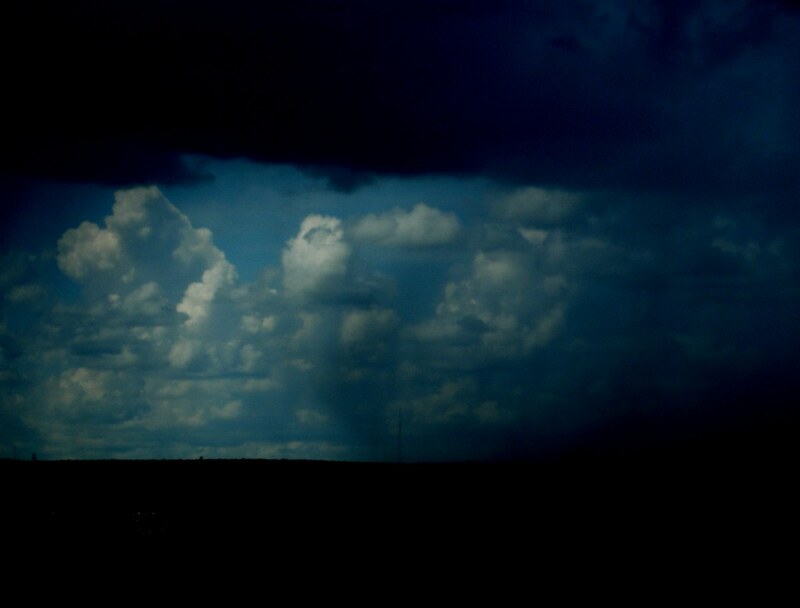 The first thing I like when leaving was the edge of a rain core that was actually reflecting off the ground and curling back up into the air it was hitting so hard. 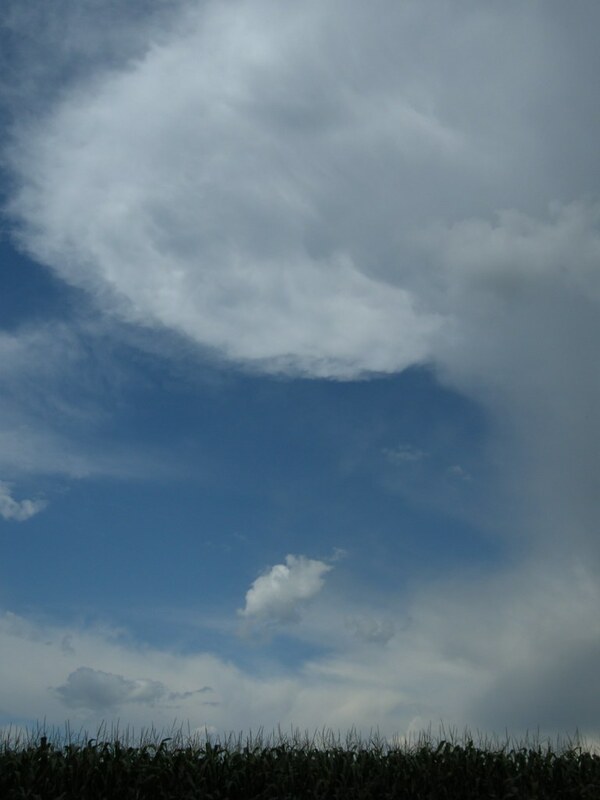 About 15 minutes after the above shot, it goes lp and shows isolated rotation in the base ! 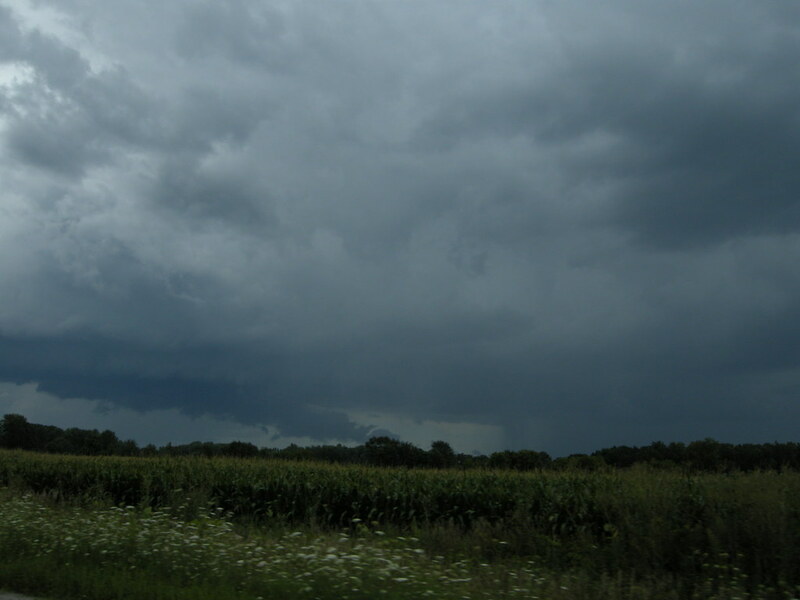 Crooked shot while trying to stay with it in annoying hilly terrain I think I was in Elgin county now the cell was trying to get a wall cloud going with a ragged inflow tail. 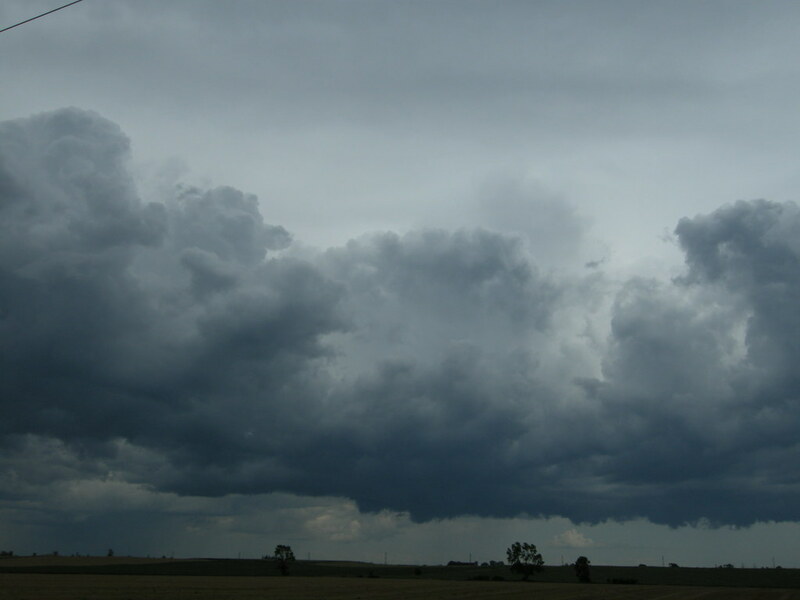 on the way a grouping of clouds gathering caught my attention, the lowering here was surprisingly quick motioned with some good vertical motion and slight rotation even! 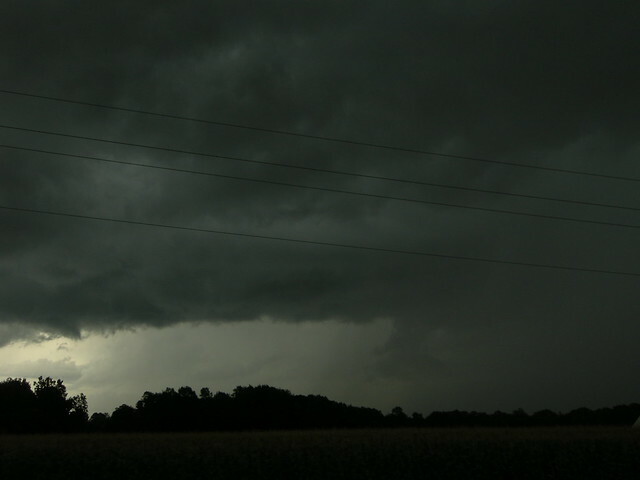 I was weeping now was driving into the core heading back to London, this was around 10 minutes or so after the above shot. 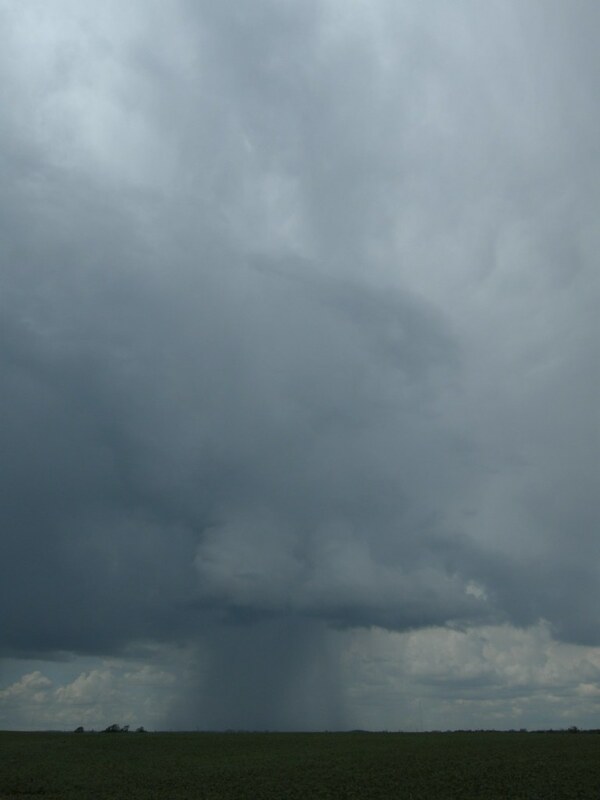 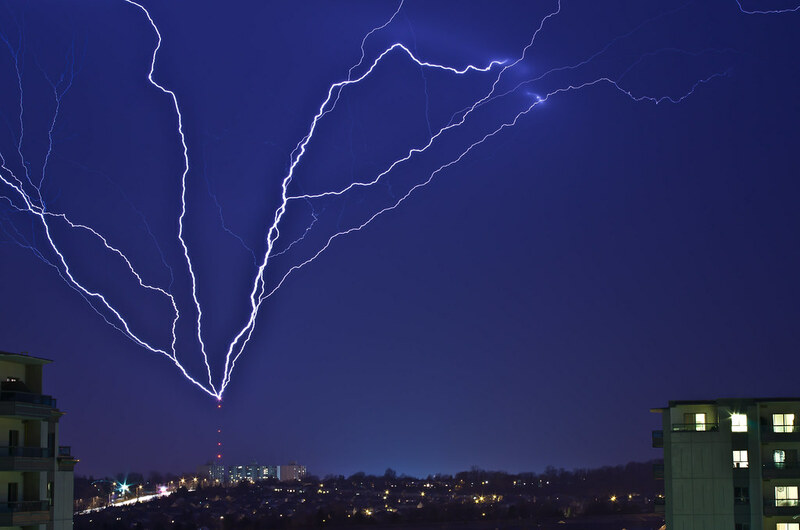 I tried to get the core and same lowering as above into the shot to show the good distance between it had. 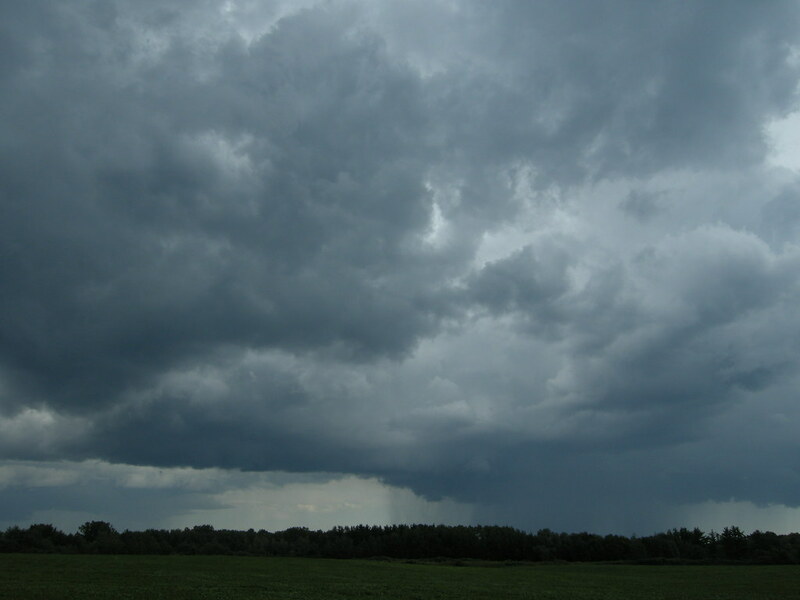 I was in such a rush I didn't notice the lowering was out of frame, it was symmetrical in shape so you can imagine it's other half, it was indeed rotating faster than anything I had seen all day.